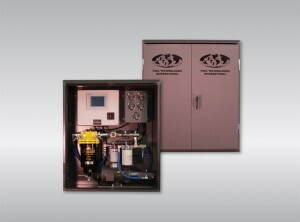 Fuel Technologies International (FTI) is focused on the design and manufacture of diesel fuel maintenance systems. These systems are specifically intended for the many large fuel storage applications that are commonplace in today’s industrial and commercial facilities. FTI’s products contribute to the reduction of water, particulate and organic matter in diesel fuel storage tanks. Hurtado.cc offers design and selection support for the proper implementation of a diesel fuel maintenance program. Request a Price Proposal on Fuel Maintenance Systems. I am writing just to highlight the great service and support I have always received from David Hurtado. His support has always been there in a technically sound base and in prompt manner.